If you live in the growing Peoria suburb of Metamora, IL and are in need of an affordable, trustworthy restoration and renovation contractor, let Kelley Construction Contractors, Inc. help you. We operate out of Peoria but gladly travel to Metamora and the surrounding towns of Woodford County to provide residential and commercial construction services. When you choose Kelley Construction Contractors, Inc., you will never have to worry about hidden costs or questionable work. We have a history of quality workmanship and competitive pricing. Experience the Kelley Difference for yourself! Property fires can cause damage both seen and unseen. That’s why you need the fire damage restoration experts at Kelley Construction Contractors, Inc. to inspect and provide repairs as needed. If a hailstorm goes through Metamora and you fear you may have some damage, call Kelley Construction Contractors, Inc. to check it out. 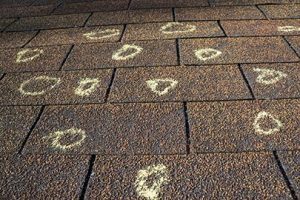 We can find damage big and small on any part of your property. Whether you are left with a wind-damaged roof or have missing siding panels, Kelley Construction Contractors, Inc. can provide storm damage repairs to have your property back to pristine condition. Have you been affected by flood waters and aren’t prepared with insurance? That’s okay. We can still help you and will provide flood damage repairs that are as affordable as possible. When your property has water damage, restoring it back to normal takes more than just drying out floors. Let our experts help with everything including waters damage assessments and repairs. Are you aware of the harmful effects of mold? If so and you still have some in your property, it’s time to schedule your mold remediation from Kelley Construction Contractors, Inc. When you are thinking of restoring your property, it’s important that you contact a professional contractor rather than trying to do it yourself. Our team knows exactly what types of damage to look for, where to look for it, and how to fix it. We will make a seemingly stressful situation into an easy fix, and will even help you through the insurance process. Let us help you turn your kitchen from a mess into a place you want to entertain and enjoy meals with family. 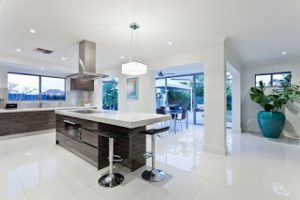 Our kitchen remodeling services are customized to fit your needs. No matter what size bathroom you have, you should be able to use the space as a place to relax and unwind. We can do just that and more. Invest in your property with basement remodeling that can transform your space into additional living space or even an income property to rent. Sunrooms are an energy-efficient way to add on to your property, while still feeling like you can enjoy the outdoors. Call to get up-front pricing on a screen, three seasons, or four seasons sunroom. We know that remodeling or adding onto your property can be costly, but when you choose Kelley Construction Contractors, Inc., your renovation will be a smart investment. It can increase the value of your property and leave you with an overall better space for living. Contact us today if you are ready to get started or even just have questions.